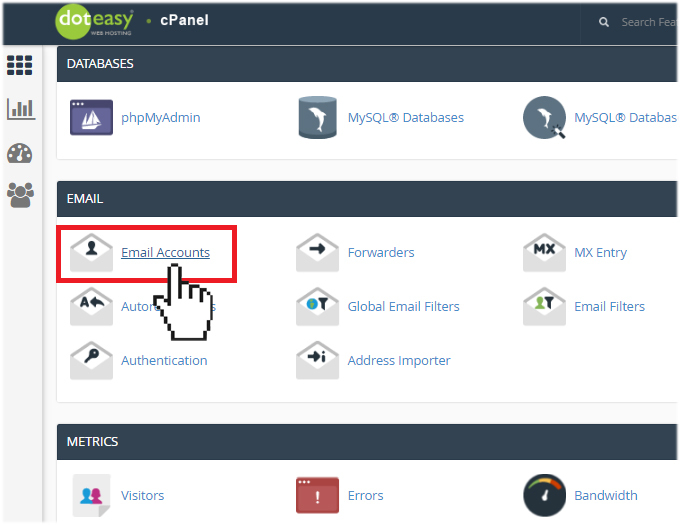 There are several reasons why you are unable to receive emails when using your Doteasy webmail. In this article, we will look at a few of these reasons, as well as provide possible solutions. Is your email account over the disk quota? Solution: Increase the amount of disk space allotted to your domain email address for email storage. 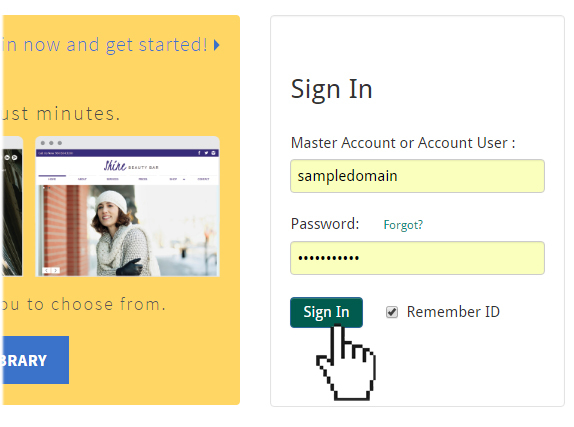 Each domain email account is created with a set quota. This quota was set when you created the email account in your account’s control panel. The quota can be set to a fixed size or unlimited. The most common reason incoming emails are not being received is that the email account has exceeded its quota. To resolve this, simply increase the amount of disk space for that email account. Log into your Doteasy Member Zone. Scroll to the Email section and click Manage Email Accounts. You will be redirected to your cPanel. Scroll to the Email section and click Email Accounts. Scroll down to the email account that you need to update the quota resources. You can type in the new quota amount or select Unlimited. Click Change Quota to complete the process. 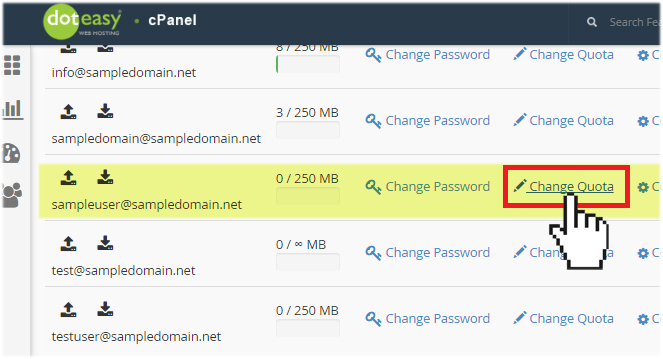 Is your domain account over disk quota? Solution: Increase the amount of disk space allotted to your domain account for email storage. While each of your domain email accounts have its own disk quota, your entire domain account also has a disk quota. If your entire domain account is over the allotted disk quota, you will need to increase your disk quota to receive emails again. 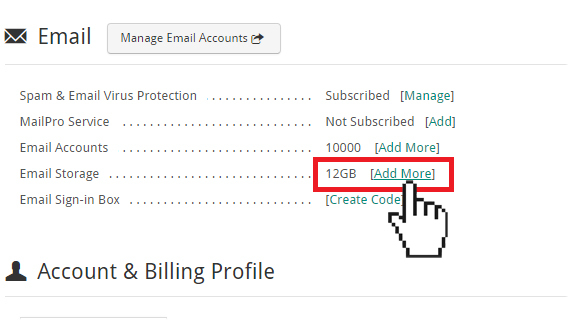 Scroll to the Email section and click on [Add More] next to Email Storage. You will be directed to the Doteasy MailPro Service information page. The Doteasy MailPro Service is an optional add-on service that gives you additional domain mailbox storage as well as increases the maximum message receive size. The service is offered at $5.95/month. 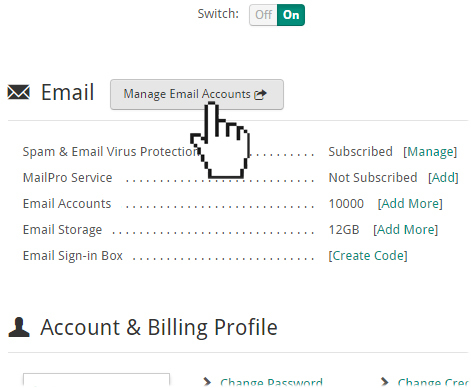 If you would like to add the Doteasy MailPro Service to your account, check the Mail Professional option and click Next to complete the rest of the order request. Do you have an email forwarder set up for the account? Solution: Remove email forwarding set up your domain email account. Email forwarding simply means the re-routing of an email message from one email address to another email address. What is the difference between a regular domain email address and an email forwarder? A regular domain email address lets you send and receive emails, as well as gives you access to your emails from webmail and an email client (ie. Outlook or Mac Mail). 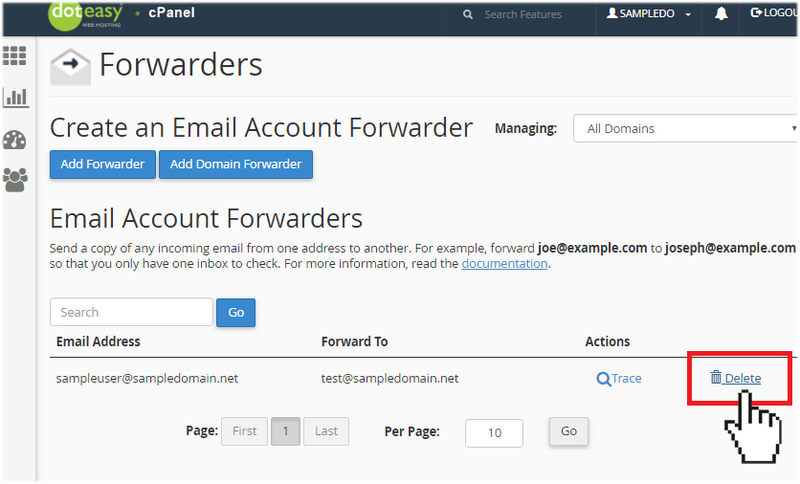 An email forwarder, on the other hand, lets you automatically direct incoming emails to another email address. 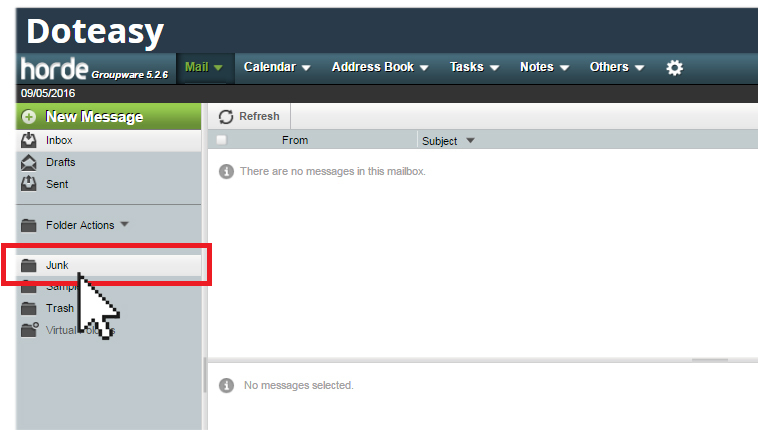 There is no inbox for an email forwarder account and no emails will be stored on the mail server. Note that the same email address cannot be both an email account and an email forwarder. You will be redirected to your cPanel. Scroll to the Email section and click Forwarders. 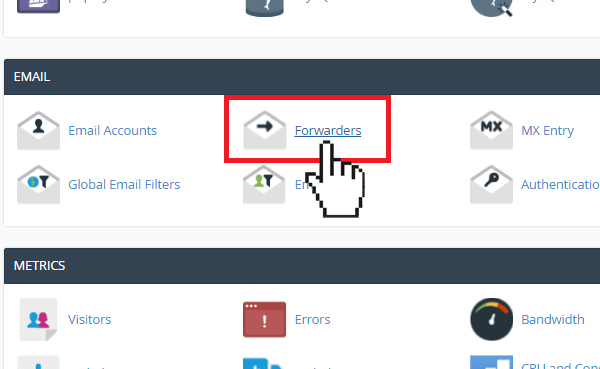 All email forwarders will be listed under Email Account Forwarders. If there is indeed an email forwarder set up for your email account, you can simply delete it (so that incoming emails will remain on your email account and not re-routed to another account). Have you checked your email account’s Junk folder? Solution: Check the Junk folder in your Webmail account to see if the missing emails are there. The emails that you are missing may have been identified as spam or junk and might have been moved to the Junk folder. If you are receiving some but not all of your emails, this is most likely the reason. If you have followed the steps above but you are still experiencing problems receiving emails in your Webmail account, please contact us so we can help you further investigate and rectify the problem.